KUALA LUMPUR: The Automated Enforcement System (AES) will be status quo, until all aspects of the system have been discussed, said acting Transport Minister Datuk Seri Hishammuddin Hussein. He said the decision was made at an Economic Council meeting chaired by Prime Minister Datuk Seri Najib Tun Razak on Monday. "We will not make any drastic decisions until all angles are thought through by the Ministry of Transport and those involved directly. "And today we have involved the leadership and other agencies, including the finance and Bank Negara. We want to handle it in an inclusive and transparent manner and keep the public safe on the road," he told reporters at the Rural and Regional Development Ministry's Aidilfitri open house at Wisma Felcra here. He said the hot topic among Malaysians was not an easily resolved issue but assured that it would be decided in a manner fair to all. Last July, Hishammuddin said the AES summons were still in force despite the postponed prosecution process and that the summons should be settled because they were issued in accordance with the law. However, on Aug 2, he said the summons issue would be discussed in further detail after Hari Raya while stressing that the AES speed trap operations would still be conducted by the Road Transport Department and police. 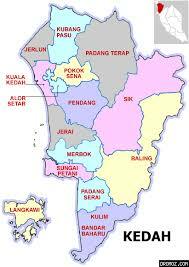 ALOR SETAR - Kerajaan Kedah menyokong semua langkah yang diambil oleh pihak berkuasa untuk mengurangkan kadar kemalangan jalan raya termasuk pelaksanaan Sistem Penguatkuasaan Automatik (AES). Menteri Besar Datuk Mukhriz Tun Dr Mahathir berkata yang penting adalah keselamatan orang ramai di jalan raya berbanding isu-isu lain yang dibangkitkan mengenai AES. Keadaan keselamatan di jalan raya sekarang sudah terlalu mendesak yang disebabkan sikap pemandu sendiri, kerana jika dibanding dengan negara lain yang lebih banyak bilangan kenderaan, kadar kemalangan lebih rendah, katanya kepada pemberita selepas menerima kunjungan Ketua Polis Negara Tan Sri Khalid Abu Bakar, di sini hari ini. Menurut Mukhriz, dalam perbincangan beliau dengan Khalid hari ini, mereka menyentuh mengenai pusat hiburan yang beroperasi di Kedah dan beliau memberi jaminan kerajaan negeri tidak akan bertolak-ansur terhadap pusat hiburan yang melanggar peraturan. "Kami akan sokong segala usaha oleh polis untuk ambil tindakan terhadap mana-mana premis hiburan yang melanggar undang-undang. Walaupun ada rayuan kalau terbukti melanggar undang-undang kami sokong tindakan tegas oleh polis," katanya. Mengenai kedudukan Kedah sebagai negeri bersempadan dengan negara jiran, beliau melahirkan kebimbangannya jika berlaku kes-kes penyeludupan khususnya yang melibatkan senjata api. "Saya faham memang payah nak periksa setiap orang dan kenderaan yang memasuki sempadan kita. Perlu cara untuk mengelakkan barang-barang tidak diingini masuk ke negara kita," katanya. 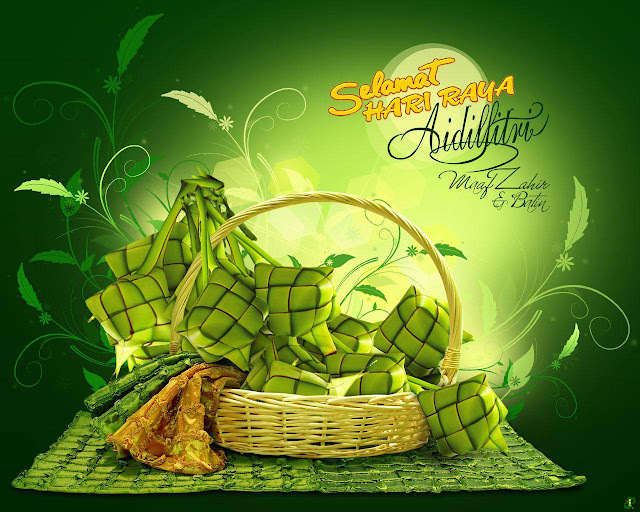 We wish all our muslim friends and family. Selamat Hari Raya Aidilfitri 2013. PUTRAJAYA: A major decision on the Automated Enforce­ment System (AES) will be announced after the Raya celebrations, said acting Transport Minister Datuk Seri Hishammuddin Tun Hussein. He said the decision would take into consideration grouses and views from the public and all stakeholders involved in the system. “We have heard all comments and views. But in making the decision, we must balance between public safety and the grouses. “The Government knows that the public is unhappy over why a third party is enforcing the system and collecting the fines. We will come out with a fair decision,” he told newsmen after launching the national road safety campaign here yesterday in conjunction with the festive season. Hishammuddin said the public grouses on the AES had been narrowed down to who was implementing the system and collecting the fines. “It is now clear that its not about the system,” he added. 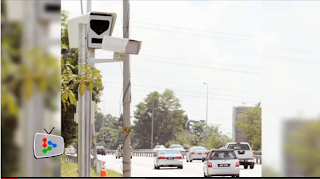 The AES captures pictures and video images of cars speeding or jumping the traffic light in targeted areas and based on the data collected, traffic police will then issue summonses to the offenders. 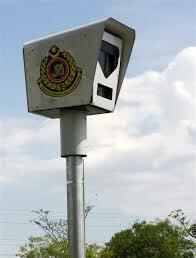 The system began on Sept 23 last year with 14 cameras installed in Selangor, Kuala Lumpur, Putrajaya and Perak. Another 404 cameras would be installed under a roll-out plan scheduled on Sept 22. Early this year, the Attorney-General’s Chambers froze all court proceedings related to summonses issued under the AES after legal concerns were raised by certain groups. 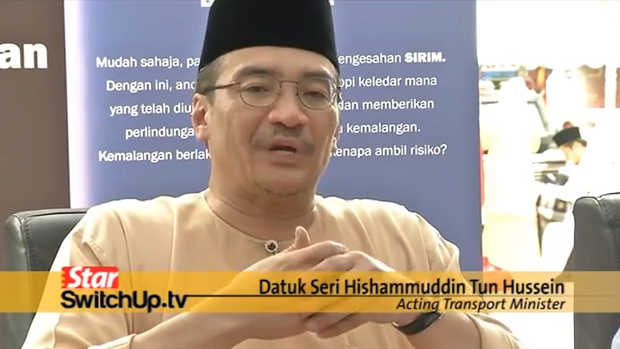 Hishammuddin pointed out that the AES would continue to operate during the festival. “I am told that the conventional speed trap by the traffic police would also go on as usual. Hence, I appeal to all road users to obey all traffic signs and observe the speed limits. “Be patient and expect heavy traffic as we have estimated some 51 million vehicles will be driven on all highways and roads during the celebrations,” he said.